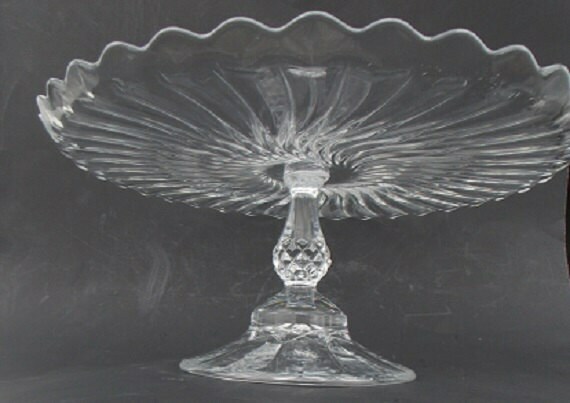 This vintage glass pedestal low cake stand is reminiscent of the Fostoria's Colony Pattern . 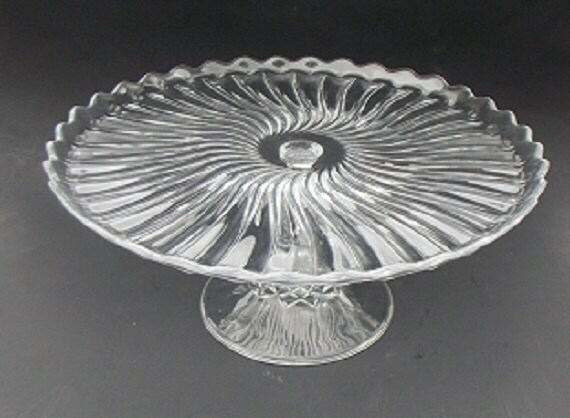 It has a clear heavy swirl pattern across the top of the plate. 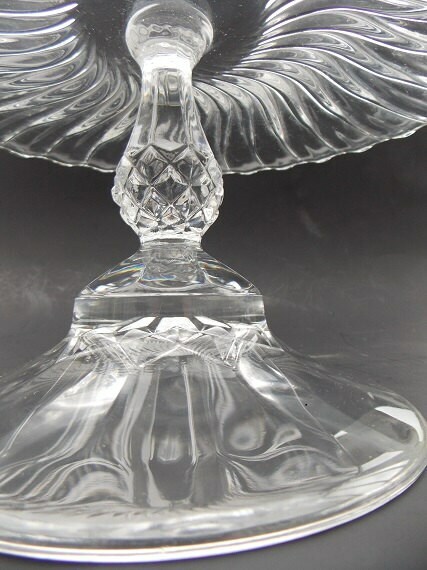 The large plate sits on a clear pressed glass diamond pedestal. 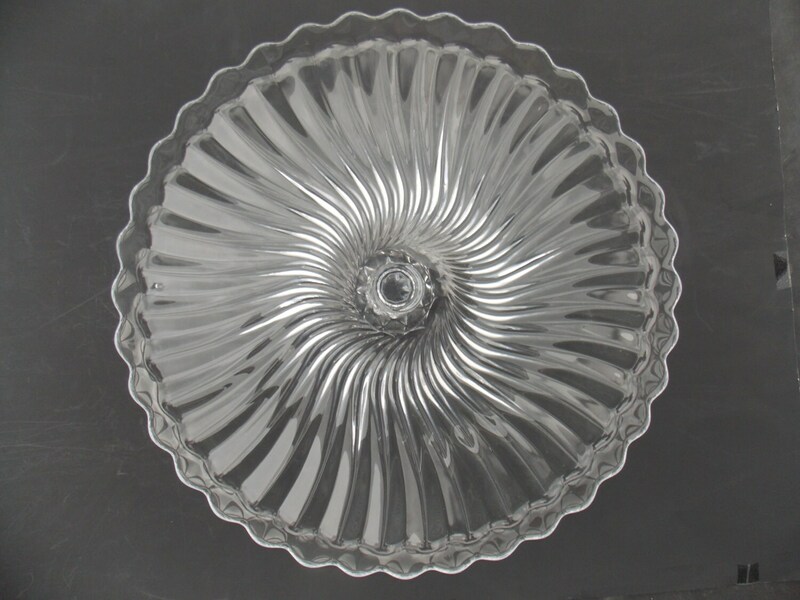 The base of this platter is clear. 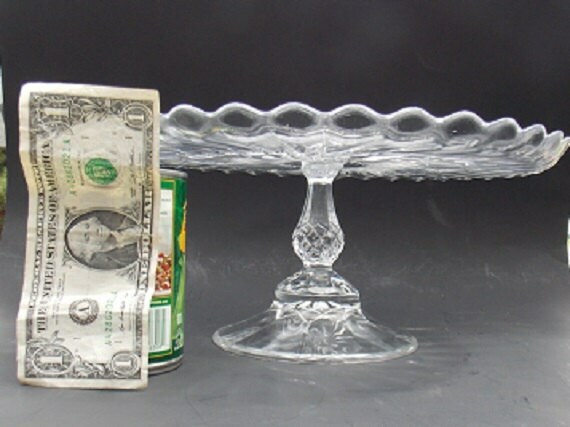 This cake plate is in nice condition with no chips or cracks.